The Master Lock No. 485 Rotating Gate Valve Lockout Device combo pack includes a set of five lockouts - 480, 481, 482, 483, 484. These gate valve lockout devices feature outward/inward rotation to allow for easier installation and storage and the body surrounds the valve operating handle to protect against accidental valve opening. The unique, patented rotating design allows for easier installation in confined space applications. Tough, lightweight, dielectric Zenex™ Thermoplastic body withstands chemicals and performs effectively in extreme conditions. 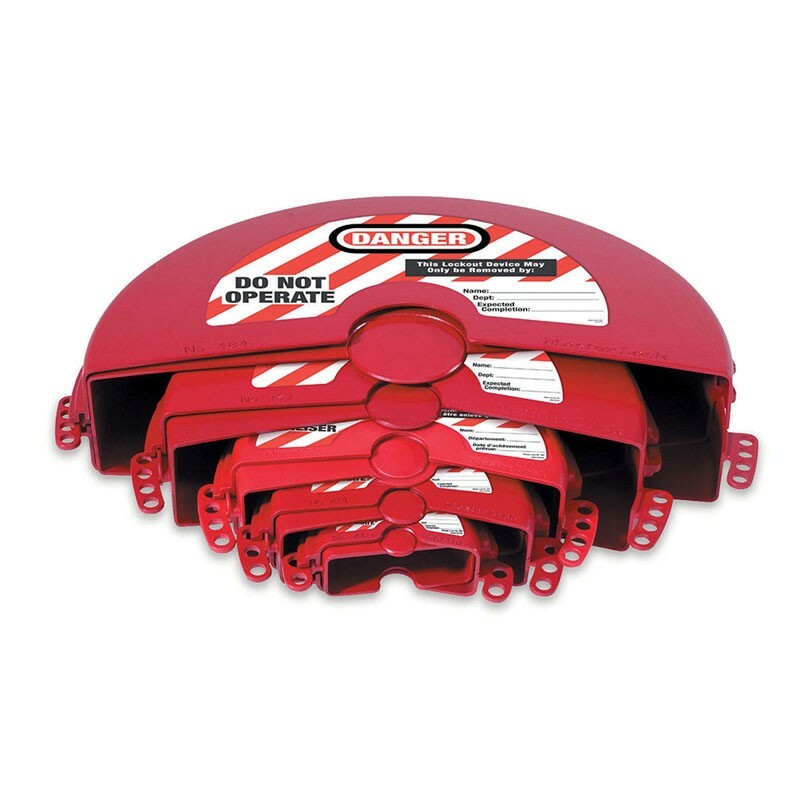 Includes high-visibility permanent safety labels.